Become a Digital Marketing Pro! No need to learn code, straight to the point, same tools that marketing pros use! Get support 24/7 and do everything yourself or get help when your stuck! Training remote or directly at your office. Hands on how to master digital marketing and more. All training and work hands on is specifically on your business. 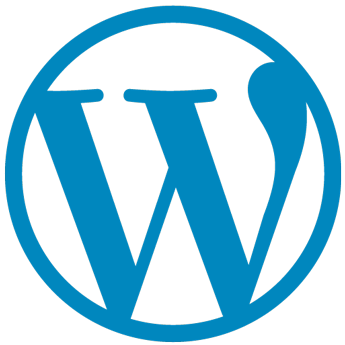 Learn how to become a WordPress Expert. Build Websites that are Mobile/Tablet friendly without learning code. This is exactly how the pros do it today. Get the most flexibility out of your website. Not only will you become an expert in WordPress, but you will learn and get step-by-step guides on how to design and develop beautiful websites and learn WordPress in-and-out. The Best Advertising Channels currently are Google, Facebook, Instagram and Youtube. Master Google Ads, get leads/sales instantly! Learn how to optimize your ads and get the most out of your advertising budget. Setup Search Ads, Display Ads, Google Shopping Ads, Retargeting Ads & Youtube Ads. Perform SEO services to increase your website listing in Google’s organic results which do not incur per-click charges. This provides you the most value! Facebook and Instagram Ads are extremely important and effective now! You will learn how to setup ads and how to optimize them for the best results. See exactly what your top competitors are doing and get insight information regarding exactly what they are doing. We will even show you where to outsource and hire people to do this work at an extremely low-rate once you get busy to the point where you won’t have time to handle these tasks anymore. No other company out there offering training exclusively for your business. We do! Online Marketing Training Includes: How to build websites/mobile sites, perform online marketing and also business consultation. Need Training at your Office? Face-to-Face Training or Group Training at your Office? Website & Online Marketing Setup and Training. Exclusively for your Business! Complete Setup and Training for the tasks listed above, packages are only one-time payments. Full Support included for the first 30 days. Get a Quote for Remote Group Training or In-House Single or Group Training Face-to-Face at your Office.